Looking for top rated Karnataka Secondary Education Examination Board Schools in Mysore? Looking to find the top rated Karnataka Secondary Education Examination Board schools in Mysore? Then you are at the right place and I hope the list below is helpful to you. Here’s a list of the top rated Karnataka Secondary Education Examination Board schools in Mysore along with their comprehensive information including address, contact e-mail ID, telephone numbers, website etc. 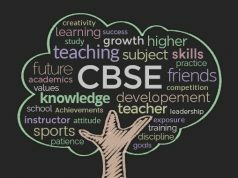 The Karnataka Secondary Education Examination Board educational institutes include the schools owned by Private organizations as well as Govt. The schools listed below follow the curriculum prescribed by Karnataka Secondary Education Examination Board. These schools serve the basic purpose of education in best possible way by emphasizing equally on academic and co-curricular activities.